In Japanese, "Shikomi" is a word often used in the kitchen. It means "preparation". But it does not necessarily refer to just prep work. It's often about making something which requires some aging (waiting) time. So, making miso is a "shikomi" work. So as making "Ume-shu (plum liqueur). Depending on what you make, after "shikomi", it requires from just a few hours of waiting to multiple years. One morning, I was busy doing "shikomi" on different recipes. The first ones (top picture) were two different kinds of Chunky La-yu (chunky hot oil). One was similar to my "regular" style with dry shrimp. And the other was with fermented black beans. After infusing the ingredients in the oil, I need to let them rest for over night for the flavors to fully integrated. Then, I made more Makkoli (Makgeoli) and more Shio-koji with more koji rice. 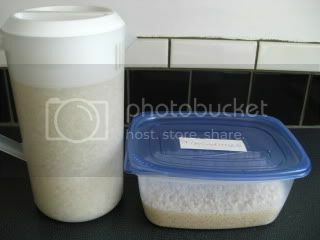 This time, for Makkoli, I used Champagne yeast, which I ordered online. So, I'm excited to try it! 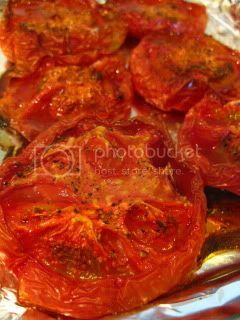 Then, I made 5-hour roasted "umami" tomatoes. To make it I simply drizzle some olive oil over the halved tomatoes and season with salt and pepper. Then, the tomatoes were put in the 300F oven for 5 hours (the cooking time depends on the type of tomatoes). I can make a bunch of it and make an oil marinade and keep for a week or so. These super-slow roasted tomatoes are good in the salad, with rice, etc. 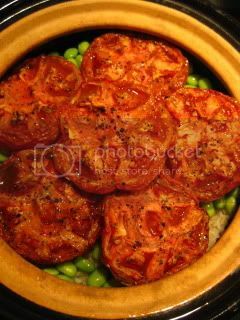 So, the next day, I made simple brown rice in my double-lid donabe rice cooker, "Kamado-san", and tossed the rice with some edamame, and the super-slow roasted tomatoes. 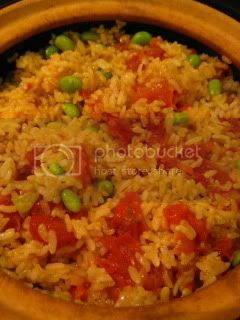 To serve, rice was served into individual bowls and topped with some thinly-sliced scallion and homemade chunky la-yu. Perfect dish.